Transfer of a vehicle from Debtor who held bare legal title determined to be an express trust therefore not supporting trustee's claim that transfer was not for reasonably equivalent value in fraudulent transfer caim. Ohio law determed that legal and equitable ownership is determined solely by title. In re Phillips, 43 B.R. 836 (Bankr. S.D. Ohio, 2010). Judge Jennemann finds that absolute priority rule as applied to individual debtor allows debtor to retain post-petition assets and earnings, but cannot carm down plan that retains prepetition assets without acceptance of unsecured creditors. In re Gelin, 437 B.R. 435 (Bankr. M.D. Fla. 2010). 'Effective date' of an amended plan for purpose of the best interest of creditors test, §1325(a)(4) is the date of the modification, so if value of debtor's property decreased after filing a lower dividend to unsecured creditors is permitted. In re Auernheimer, 437 B.R. 405 (Bankr. D.Kan. 2010). In detailed case analyzing state of current law, court determines that value of used vehicle should start with NADA retail, then reduce such value by cost of reconditioning and repairs. In re Scott, 437 B.R. 168 (Bankr. D.N.J. 2010). Judge McEwen has requested proposed language to include in the court's order insuring that when the plan is completed there are no defaults in mortgages being cured in the plan, such proposal to be submitted through the Bar liaison committee of TBBBA. Please contact my office if you wish to be involved with this. 9th Circuit BAP rules that retroactive adequate protection is not required even when creditor obtained state court judgment of possession 2 days prior to petition, when motion to lift stay filed six months later. In re Big3D, Inc. 2010 WL 4174264 (9th Cir. BAP, 2010). Detailed analysis of effect of lack of Rule 3001(c) supporting documentation on claim. Not entitled to prima facie valididity without such documentation, but debtor still needs to basis under §502 to object. In re Falwell 454 B.R. 779 (Bankr. W.D.Va. 2009). New blog post on 11th Circuit bankruptcy decision on res judicata. In a lengthy §§523 and 727 decision involving many allegations of false oaths and fraudulent transfers, one minor issue which was somewhat surprising was Judge Paskay's indicating that scheduling $0 for entertainment on schedule J could be a partial basis for denial of discharge. Epic Aviation v Phillips, 9:07-ap-181-ALP. The US Supreme Court has granted cert to decide whether above-median-income debtors may deduct vehicle ownership expenses on form B22C even if they have no debt payments on the vehicle. Ransom v. MBNA, 2010 WL 333672. 9th Cir. had disallowed deduction. Judge Paskay recently that a 100% chapter 13 plan proposing to pay a student loan outside the bankruptcy was not unfair discrimination against the student loan, despite the unfavorable praecipe on this point. In re Potgieter, 2010 WL 2812562, Case #9:09-bk-09937-ALP D#38. Judge Kovachevich sustained Judge Paskay's award of just over $500 in sanctions against a witness for not appearing for deposition. In re Steffen, 433 B.R. 879 (M.D. Fla 2010). Debtor's attorney's nightmare case: debtor that quitclaims home to spouse just before filing loses exempt status. In re Gibson 433 BR 868 (Bankr. ND Olk 2010). Inherited IRAs should get the same protection status as regular IRAs under BAPCPA. In re Nessa, 426 B.R. 312 (8th Cir. BAP, 2010); In re Tabor 322 B.R. 469 (Bankr. M.D. PA, 2010). The Scholtz case apparently is not reported in BR, but is from the Eastern District of California, Judge Richard Lee. I recently had to research the application of B22C to Railroad pensions. The statutes regarding these railroad benefits predate the social security act, and are very similar. In In re Scholtz, Case #09-14453-B-13, March 31 2010 the Court ruled that while such benefits were not excluded from B22C as Ssa benefits, they were excluded under 45 USC §231(m) which is similar to the ssa exclusion 42 U.S.C. 407(a). At a recent hearing with Judge McEwen on a motion to amend plan due to reduced income, Judge McEwen ruled that it is appropriate to use the current median household income rather than the median household income when the case was filed to determine whether B22C expenses apply or schedule J expenses. from the date of filing were used) then schedule J expenses were applicable. I recently spoke to a chapter 7 trustee that said he has an average of two attorneys a month appear before him that have no bankruptcy experience. With the increase in the filings of bankruptcies, there have been a huge increase in attorneys taking on new bankruptcy cases, many with very little experience or in 'bankruptcy mills', which, like the foreclosure mills in the news, take shortcuts to spend as little time as possible on each case. Both factors often end up hurting the client, by not knowing or fully and adequately explaining the options and risks to the client. When you hire a bankruptcy attorney, you are paying for the attorneys time and expertise. If when you go in for your appointment and you spend most of the time with a paralegal, you are getting shortchanged. If the attorney you speak with has not been doing bankruptcy very long, and has limited experience, you are getting shortchanged. Get your money's worth and employ an attorney who takes the time to find out what your situation is, and to explain your options. When the number of bankruptcies filed went up substantially in the last couple of years, many more attorneys started getting into the field. This makes it much more important to be careful what attorney you hire. 1. 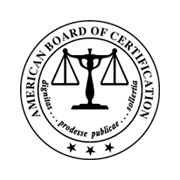 See if they are board certified, and how long they have been board certified. 2. See if the attorney you meet with is the attorney who personally handles your case and will meet you in Court. 3. See if you have to go through an automatic phone system before you speak to a real person. 4. 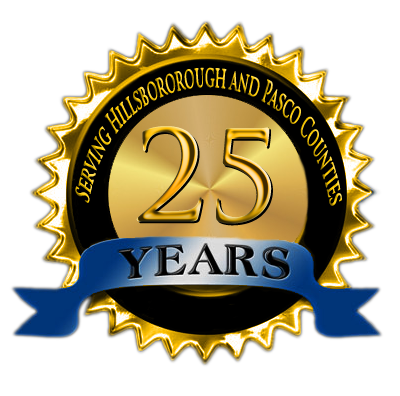 See how many cases the firm handles, a high volume of cases means that the attorney has minimal time to spend on each case. 5. Check the Martindale-Hubbell lawyer rating. 6. Check whether there are any bar complaints filed against the attorney. ... for our houses are such unwieldy property that we are often imprisoned in them; and that the bad neighborhood to be avoided is our own scurvy selves. Walden, Life in the Woods, by Henry David Thoreau 1854.